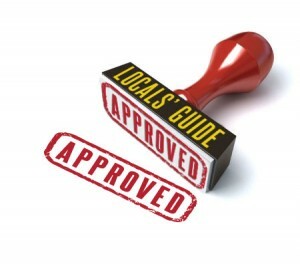 The Locals’ Guide to Saint Augustine has an “ask a local” feature. We are always asked the question “what is the best tour to see the city?” Sometimes people will be staying a few days, but often times they are only here for a day and don’t have a lot of time to spare. 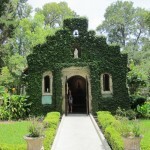 If you are here for a day or two and want to see some of the more historic and beautiful landmarks of downtown, I recommend St. Augustine Gold Tours. The tour is conducted on a small, quiet electric tour bus. To me it was more like a golf cart on steroids. The maximum amount of passengers is six. What I love about this tour is with only six people on board, you really get to interact with your tour guide. The small size of the bus allows the tour guide to take you down some of the most narrow historic picturesque streets in downtown. The tour lasts for roughly 90 minutes and is $25.00 per person. 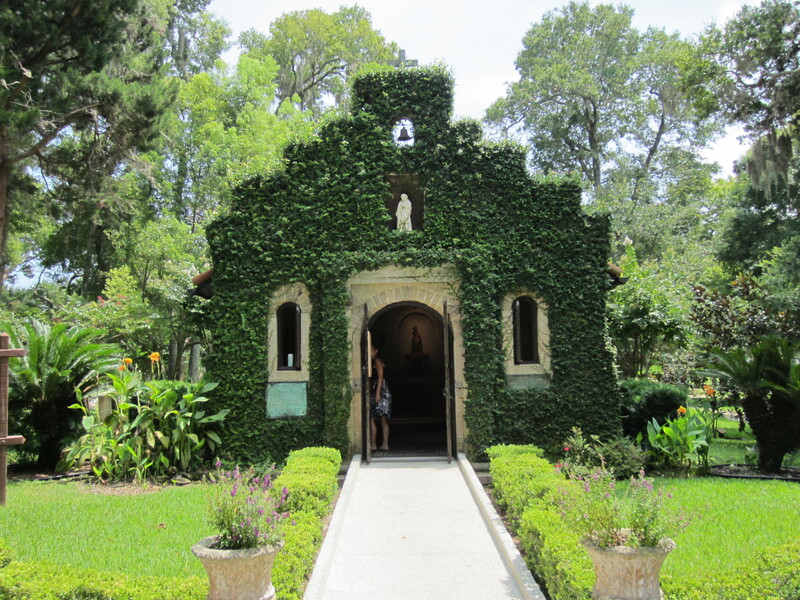 The bus does make a few stops to get off to see some sites, including one at the grounds of The Mission of Nombre de Dios to visit the Shrine located on the lush grounds. What I love about this is that the tour guide stays with you and gives you the history behind the stop. You can take some pictures, ask questions and have a few moments to enjoy the setting. You also get off and take a short tour of the swimming pool at the Lightner Museum. Along the entire ride the tour guide is pointing out interesting facts and beautiful architecture, while showing you old pictures of the way the city used to be. Just getting to ride under the canopy of Spanish moss hanging from the beautiful oak trees on Magnolia Avenue in front of the Fountain of Youth is an experience in itself. One of the wonderful things about this tour is that at any time they will pull over and let you take a picture. 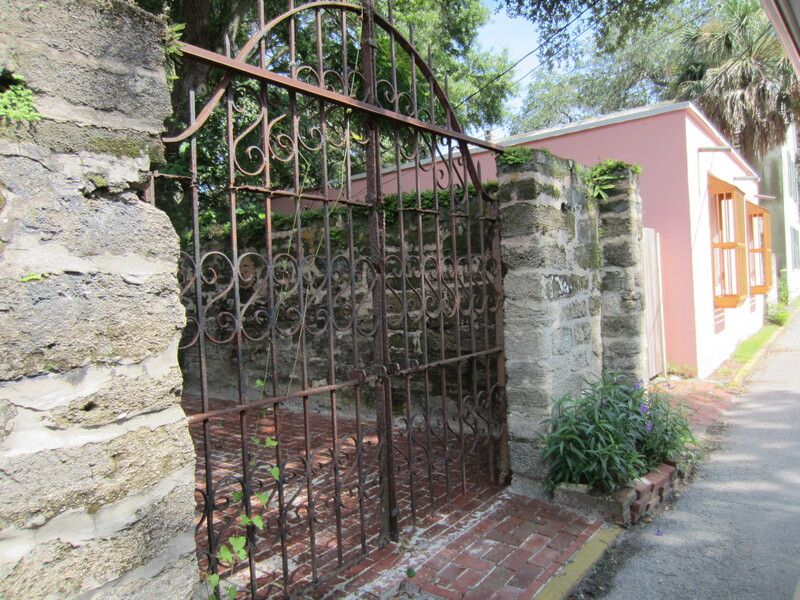 The day I was on the tour, I got off to take pictures of old Coquina walls, beautiful iron gates, ornate churches and a cannonball that is still lodged in the wall of an old house from a pirate attack. My tour guide Peter even pointed out to us the Spanish, English and American construction on the different buildings along the tour. Some houses still have all three styles evident. I think the Spanish had the most beautiful way of doing things and to me, based on the fact that the Fort is still standing, they knew what they were doing. At the end of the tour they even give you a fact sheet with important dates of historical events. A lot of research has gone into this tour and as a local, I can honestly say that these tours give you a real, honest look at historic St. Augustine. Many visitors only get to see St. George Street, the bayfront and the City Gates. This tour takes you behind the scenes, down the tiniest of streets. 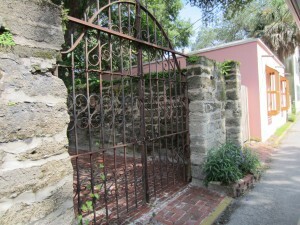 There is something incredibly beautiful about a Coquina Wall and an iron gate that have stood the test of time. They began to take on their own character, covered with patina and beautiful lush green mosses and ferns. This is beauty that only time and nature could create together. 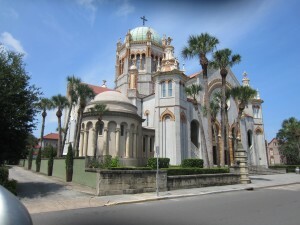 This is the beauty of historic Saint Augustine that you will experience on this tour.